"The new hearing aids have made a huge difference, It really is a positive change for the better." 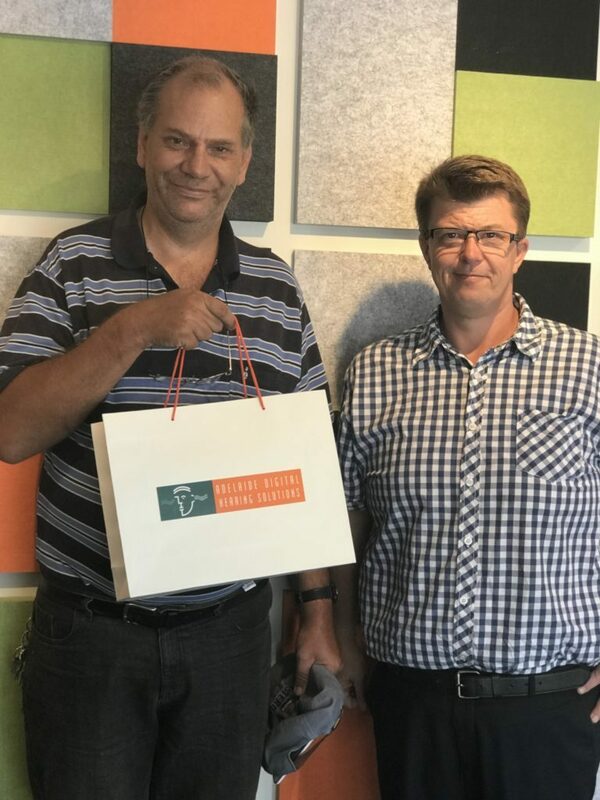 Nominated by Luke Halls, Clinician at Adelaide Digital Hearing Solutions, local resident Andrew Meijer is one of four people across the country to receive new Oticon Opn1TM hearing devices at no cost, as part of the Campaign for Better Hearing Give Back Program. The Program recognises the financial burden that Andrew and his family were under and the impact his hearing loss was having on his life. “Andrew is such a deserving recipient. Without hearing devices, he simply can’t work. He needs his hearing devices to keep a driver’s licence and find employment. It’s been quite tough on the family,” says Clinician Luke Halls. Working as a truck driver, Andrew Meijer, 48, was waiting for his new hearing aids to arrive last year when he was in a horrific accident that changed his life forever. The accident left him injured and out of work. Suffering from severe hearing loss from a young age, made worse through working with industrial noise, Andrew’s old hearing devices were damaged beyond repair and he was no longer able to afford the new devices he was waiting for. Like many other adult Australians, Andrew was unable to afford to purchase and maintain his own hearing devices. One of the greatest challenges is a lack of recognition of the lifelong burdens to access education and to participate fully in the workforce and society. When quantified, the total loss of wellbeing due to hearing loss in Australia in 2017 was estimated to cost $17.4 billion2. One of the biggest drivers of this cost includes loss of productivity. The earlier hearing loss is detected the better, and hearing aids can be invaluable in helping slow the deterioration of hearing while reducing the risk of dementia and other health and social problems. “With Give Back we are also very happy to be giving the gift of better hearing to people in local communities across Australia and grateful to everyone who contributed to achieving this exciting milestone,” said Clinician Luke.